The key to this chart is that purchase influence comes from real people... not banners or bots. 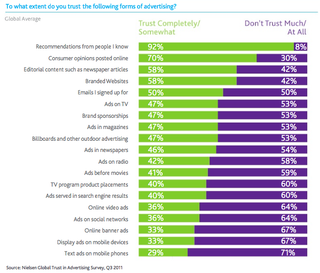 The most trusted sources (friends' recs, user reviews, edit opinions) are driven by voice, authority, and relationship. This is why building content-driven advertising and commerce opportunities into a social discussion platform makes so much sense for us.